With infopointbari.com you'll never be alone in Apulia. If you want to take a stroll and get acquainted with the local traditions and works of art, contact us. 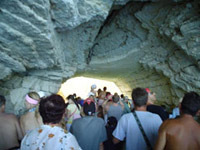 You have the opportunity to reserve a guided tour for you and your group. The tour guide will help you to discover the beauty of our land.